5 Health Benefits Of Biking - Leila D.
Riding a bike is a great way to improve your cardiovascular fitness and endurance. People who do not like the high-impact exercise of running enjoy biking. 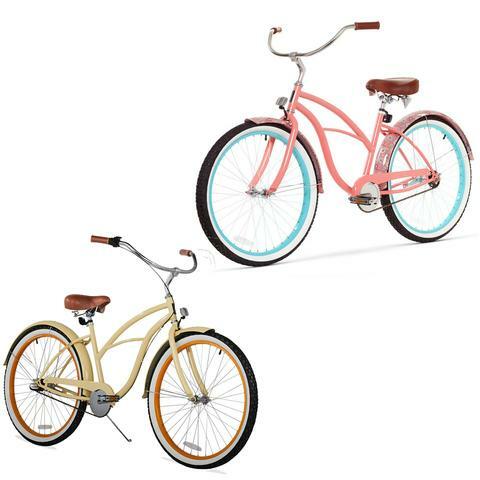 Riding a bike with an upright riding position, such as a beach cruiser, is a good choice for beginners. 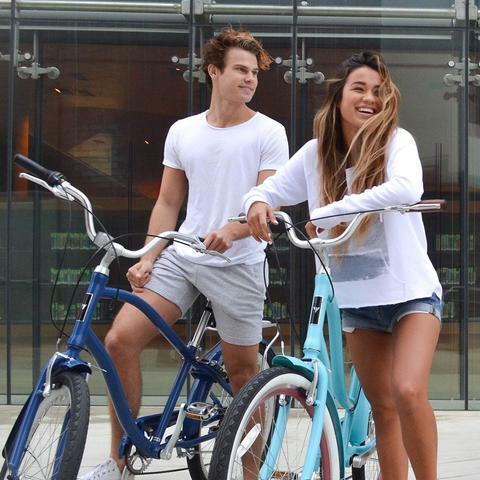 Pedaling a bike improves muscular strength in your legs. If your legs feel tired after your first long bike ride, your legs are getting stronger. Regular cardiovascular exercise, such as riding a bike, is good for your mental health. It is one of the most effective ways to fight mild anxiety and depression. Exercising during the day also helps you sleep at night. Cardiovascular exercise can help prevent chronic hypertension. If you have been diagnosed with hypertension, your doctor might recommend bike riding as part of your wellness plan. Exercise also helps mitigate insulin resistance in people with pre-diabetes and diabetes. Bike riding may seem like a solitary activity, but it is a great way to make new friends. Being socially connected is good for your health. Exercise is not a substitute for medication. If you are being treated for hypertension, diabetes, or depression, continue your medications as directed. Adding bike riding to your daily routine can make you feel even better. I bike around NYC all the time! Love it!